It’s all Ivan Morris’s fault. I’m blaming him anyway for the fact that I’ve got nothing done for the last two weeks. For those of you who may not know Ivan – just think of the most fanatical golfer you know, whose every waking moment is filled with thinking of golf, playing golf, writing about golf, talking about golf. 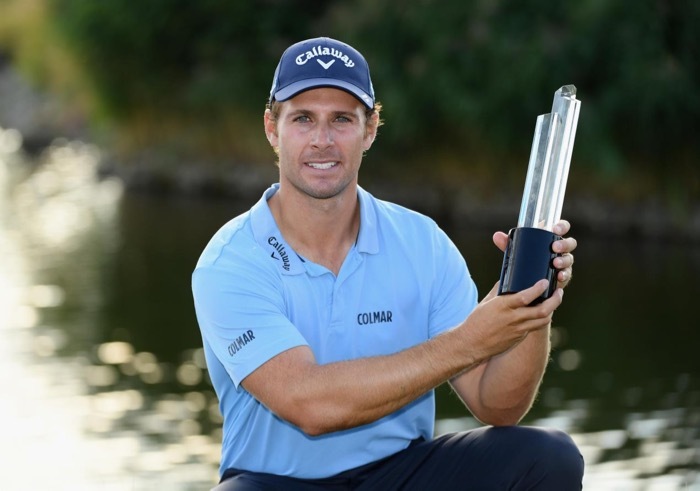 Multiply that one hundredfold and you may begin to get a little bit of an idea of what golf means to Ivan. 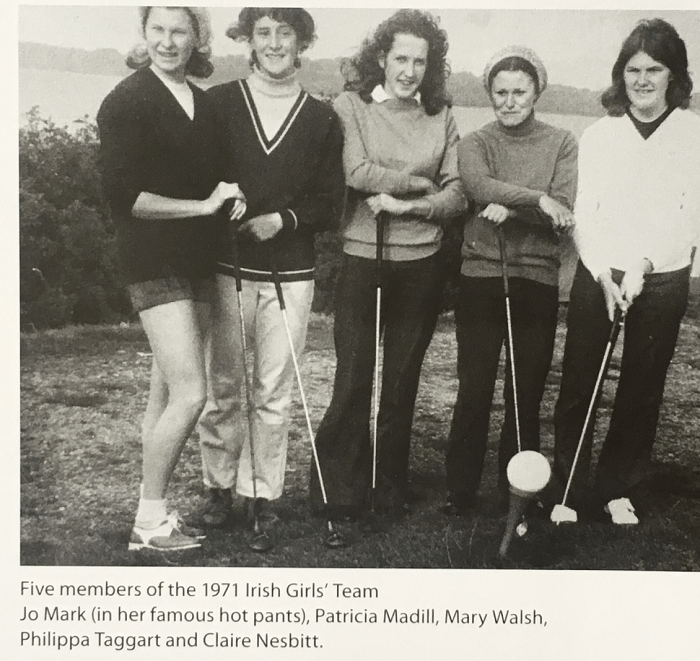 And now he’s written his seventh book on the game – a specially commissioned tome to celebrate and mark the 125th anniversary of the Irish Ladies’ Golf Union (ILGU). Since I received the book, courtesy of the ILGU, it has successfully kept me from doing all the things I should be. I’ve been playing truant and loving it. Now, normally, I’m not a huge fan of golf books celebrating a hundred years or so of this club or that or of specially commissioned works chronicling an association down the ages. They can tend to become simply lists of names with the writer terrified he may offend someone by leaving them out. I’m sure that’s an ever-present worry for any author of this genre but “A History of Women’s Golf in Ireland” is so much more than that. It swings along at a jaunty pace telling the story of a fascinating social history through the medium of golf. There is so much with which I can identify – from the austere, old world pictures of the fabulous Hezlett sisters which stared down at two young Madill girls from the walls of the Ladies’ clubhouse at Portrush as we played in endless fun-filled Junior competitions to the modern-day exploits of Stephanie Meadow and Leona Maguire, both former British Amateur Champions, US collegiate players and professionals – all three achievements that I’m proud to share with them. I’ve selected a few of my favourite pics from the book. Some resonate keenly with me for various reasons, others I just love. The 1903 Irish team that triumphed over England by 9 matches to 1. Second from the right in the front row is Violet Hezlett, who in 1980 at the age of 97 wrote to me to congratulate me on playing on the winning Ireland team in the home internationals. 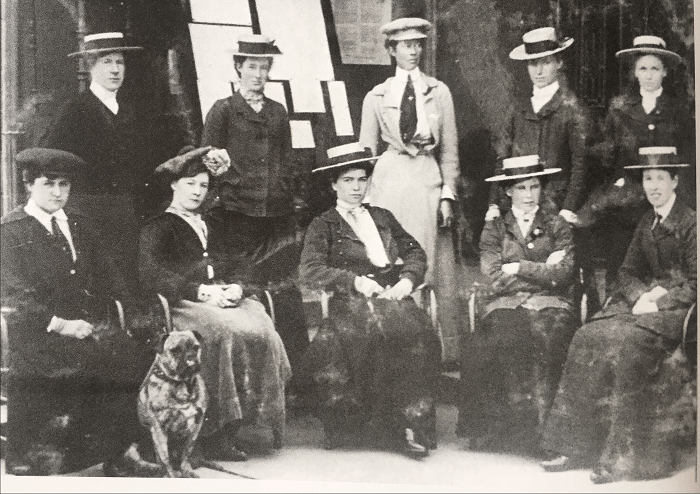 In 1907 she had played on the last team from Ireland to win the matches, captained by her sister, May, front row centre. Dog’s name and handicap unknown. 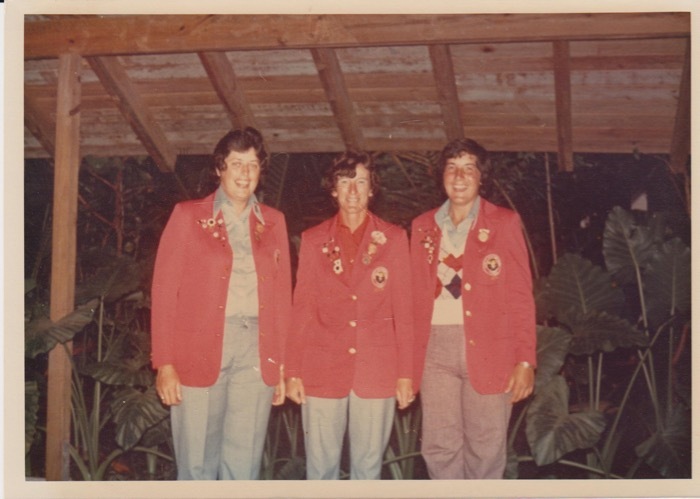 Patricia on the Irish Girls’ Team in 1971 – the Madills’ first foray on to the International stage. She came away with a 100% win record – we thought this International lark was wee buns!! 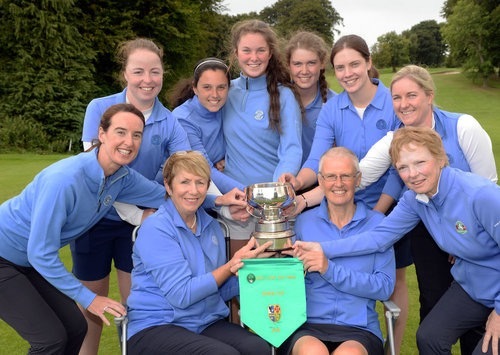 Thank you to Pat Cashman and the ILGU Library for this glorious picture of Douglas Golf Club winning the 2011 Senior Cup at Malone. 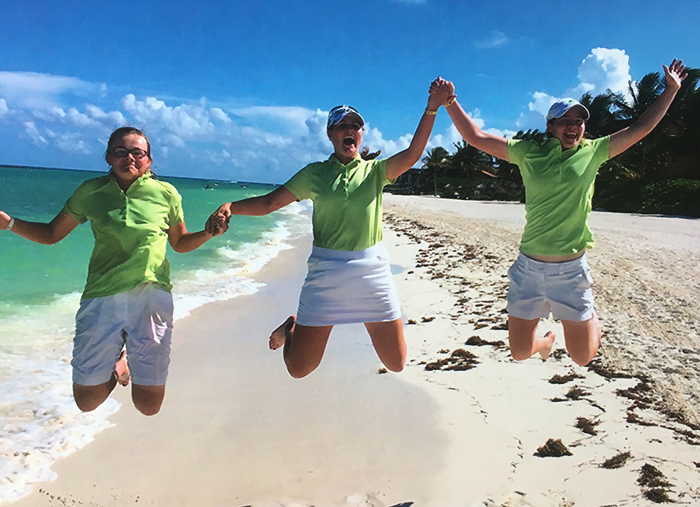 For me, it encapsulates what playing the game is all about – fun, joy and friendship, all shared. Phew, that’s quite a remit and I wish them well. Should they receive the endorsement sought from the clubs an anticipated “go live” date for Golf Ireland is 1st January 2021. 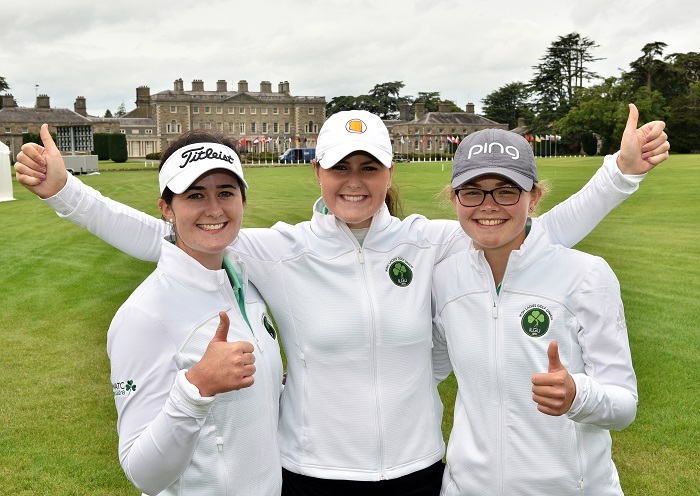 It’s a far cry from the early pioneering days of the 1890s but with a collective willingness to work at ironing out the inevitable wrinkles it must surely be a step forward for golf in Ireland. What an incredible journey it’s been. Ivan, sharpen your pen and bring us an update in, say, a dozen years or so? !